“Beware of Darkness” originally opened side three of a post-Fab creative outburst, and sits among a raft of worthy best-song choices. Plenty will argue for alternates like “My Sweet Lord,” “What Is Life” or “Isn’t It a Pity.” But this track captures both the mood and the moment in a more reserved, and thus more Harrison-esque manner. It’s a showcase for his fellow musicians, as these sessions evolved into loose amalgams overseen by the mercurial producer Phil Spector. (That’s how both Bobby Whitlock and Alan White, who’d later anchor Derek and the Dominos and Yes, respectively, ended up appearing at several key moments – including this emotional deep cut.) Yet, Harrison remains the center point, as he matches a lyrical meditation on overcoming life’s harder moments (refusing to give into “the pain that often lingers”) with an arrangement that might draw this album’s clearest line back to the Beatles. Worst song: “It’s Johnny’s Birthday,” which makes the rest of the admittedly shambolic “Apple Jam” recordings on sides five and six sound like serious business. The highlight of a similarly impressive – though sometimes a touch too similar – album, which had a winking original working title of ‘The Magic Is Here Again.’ After the Beatles split, Harrison made a quick case for himself as a songwriter and performing artist in his own right. He started by reaching No. 1 in both the U.S. and U.K. with “My Sweet Lord,” organized a Bangladesh benefit concert then stormed back up the ‘Billboard’ charts with “Give Me Love (Give Me Peace On Earth).” Perhaps that’s no surprise, since it remains one of his least preachy bits of sacred music. 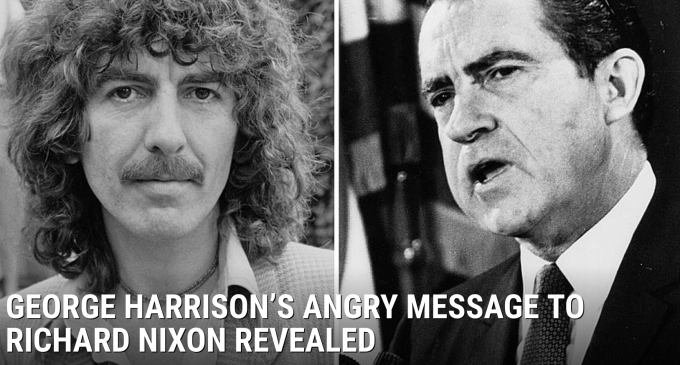 Unfortunately, Harrison’s career was becoming bogged down by too many too-pious tunes, but this low-key moment – notably recorded without Phil Spector – deftly balanced things. Worst song: “That Is All.” ‘All Things Must Pass’ arranger John Barham does his billowing best, but Harrison’s album-closing paean to Hinduism was way too close to easy listening. Though part of a generally more uplifting effort, “So Sad” was actually an outtake from ‘Living in the Material World,’ and it’s got the same elegiac tone. Considering that Harrison’s wife Patti Boyd had just ran off with his best friend Eric Clapton, you’d think they’d all sound like this. In fact, ‘Dark Horse’ and its subsequent tour arrived amid a period of broad conflict and uncertainty. Apple Records was also crumbling. Meanwhile, Harrison was dealing with the pressures of starting his own label, also called Dark Horse, and mounting the first U.S. tour by any solo member of the Beatles. A bout of laryngitis and Harrison’s determination to expose American audiences to Ravi Shankar as a co-headliner only made matters worse for some critics. In the end, people unfairly overlooked ‘Dark Horse.’ Worst song: “Bye Bye Love,” a soap opera of track that features re-written words highlighting his marital problems – and truly bizarre rumors that both Clapton and Boyd took part in the session. 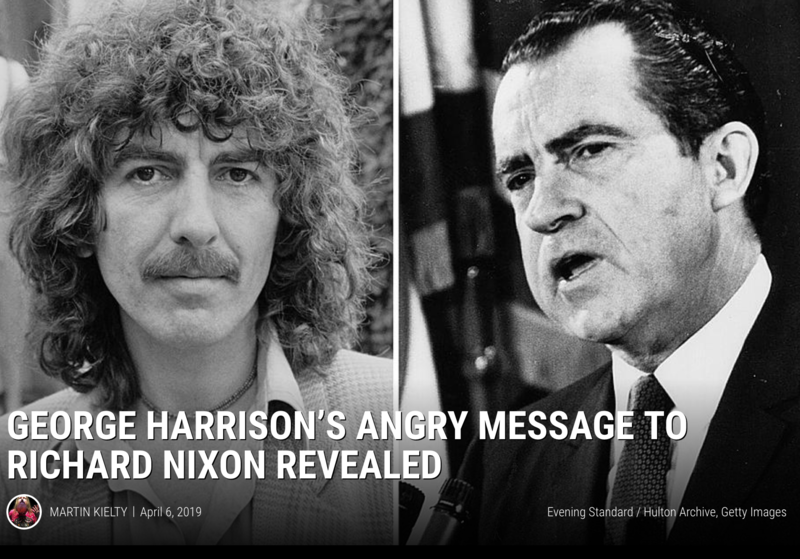 By this point, Harrison had returned to drink and drugs, and ‘Extra Texture’ couldn’t have strayed further from his religious moorings — or from the free-spirited uplift that made his initial post-Beatles projects such pleasant surprises. The thunderous “You” was one of only two songs – along with the jokey “His Name Is Legs (Ladies and Gentlemen)” – that break this dispiriting mold, and both were, in fact, updated older projects. “You,” which became a Top 20 U.S. hit, was actually a relic from a scrapped Ronnie Spector solo album for Apple, dating to 1971. Harrison simply dubbed his own vocal over hers, and then released it. That this warmed-up old leftover is the best thing on ‘Extra Texture’ says a lot. Worst song: “This Guitar Can’t Keep from Crying,” a superfluous reworking of a Beatles tune. It served as a signpost for this album’s creatively bankrupt, dead-end vibe. The album’s title – a take off on the RPMs for old vinyl and George’s age on the proposed release date – held great whimsical promise. Only the record wasn’t released until his 33 2/3 birthday, in a preview of looming label issues. Too bad, since ‘Thirty-Three and a Third’ was a much better album, highlighted by this incredibly fun Top 20 hit. (Elsewhere, “This Song” playfully jabbed back at the “My Sweet Lord” lawsuit.) “Crackerbox Palace” was about the estate of friend Lord Buckley, a British comedian — giving an expectedly different spin (for George, anyway) on the line: “Know that the Lord is well.” Feeling his oats, Harrison even quotes Madeline Kahn’s Lili Von Shtupp, a character in Mel Brooks’ 1974 comedy ‘Blazing Saddles,’ during the instrumental break. Worst song: “Learning How to Love You.” This Fender Rhodes-driven lullaby closes things out on an oddly somnolent note. Harrison began puttering around the grounds during time away from the music business. “I like gardens; I like the pleasure they give you,” he once told ‘Rolling Stone.’ “It’s like a meditation in a way.” That sense of contentment permeates what became an adult-contemporary-ish, but still quite charming album. “Blow Away” was a soul-lifting track about clearing skies and opening hearts that’s aged as well as any ’70s-era solo Beatles single. (Maybe better.) But “Your Love Is Forever” was the heart and soul of this project. Harrison employs an era-appropriate cycle of seasonal metaphors to craft one of his most truly enduring ballads, then completes things with some of his loveliest slide work. Worst song: “Here Comes the Moon.” Seriously? Another Beatles redo? This album’s sessions were so troubled and drawn out that it eventually drove Harrison from Warner Bros. (Finally released on June 5, 1981, the project saw its first sessions back in October 1979.) His label ultimately ordered Harrison to drop four of the original songs, saying they were (get this) too downbeat. Harrison’s replacements, thankfully, included the No. 2 hit “All Those Years Ago,” a requiem for the late John Lennon. His awful murder sparked a remarkable reunion that included Paul McCartney and Ringo Starr, Beatles producer George Martin and engineer Geoff Emerick, even Denny Laine and Linda McCartney from Wings. The results were so incandescent that they almost (but not quite) make up for the dreck found elsewhere on ‘Somewhere in England.’ Worst song: “Baltimore Oriole,” one of two Hoagy Carmichael covers — along with “Hong Kong Blues” — that somehow made the executives’ cut. Harrison had found a new center within his marriage and the birth of a child, something that shines through on a surprisingly cheery, though consistently inward set of songs. ‘Gone Troppo’ was ultimately defined by the use of then-hip synths, but it actually plumbed some notable emotional depths as Harrison spoke to a desire to be part of smaller things after the big things have let you down. (In this way, it could be favorably compared with the pastoral joys of John Lennon’s earlier ‘Double Fantasy.’) That’s particularly true of “Unknown Delight,” this lovingly crafted song for Harrison’s son Dhani. It remains a small-scale triumph on what turned out to be one of George’s most uptempo, if instantly dated, releases. Worst song: “Mystical One,” a decidedly un-mystical attempt at applying this album’s determinedly sunny attitude to Harrison’s long-held religious beliefs. This started as a fine little acoustic number. But like all of Harrison’s best tracks, it required a larger sound to balance his tendency to be both downbeat and uplifting. That’s why Harrison was attracted, in his first solo incarnation, to Phil Spector — a producer who couldn’t fathom a record without a few thousand violins playing along. And it’s why Jeff Lynne, playing posthumous svengali, wasn’t going to let this one be. Using Harrison’s initial and insistent guitar-strum beat as a platform, Lynne’s production explores both the ghost of regret and the atmospheric vistas that define Harrison’s solo successes. Meanwhile, George never flinches from what we know — and what, more particularly, he knows — to be true: He’s a goner. Worst song: “Never Get Over You.” Not a terrible tune, so much as the best example of how this album’s second side isn’t quite as strong as the deeply moving first one had been.